Anyone who has spent time in San Francisco knows well of that city’s diverse culinary fares. But how many realize there’s been a place in Flower Mound where Northern California cuisine has reigned supreme for nearly three years? 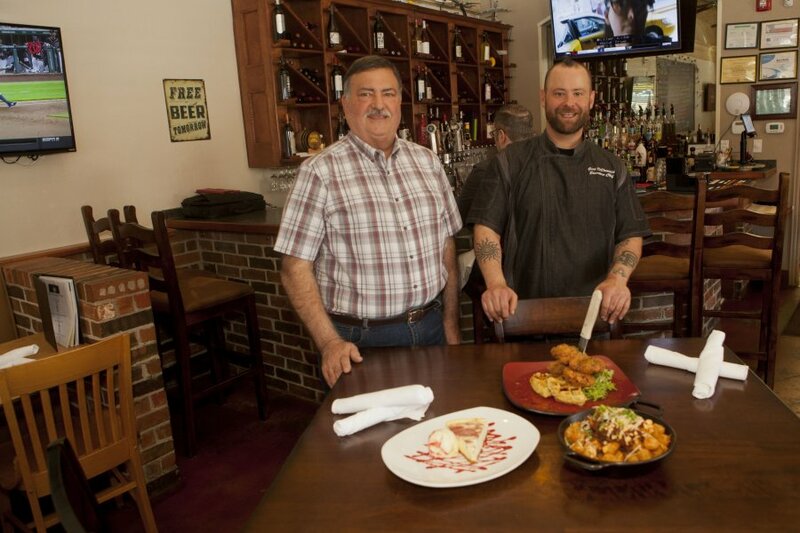 It’s called Dido’s Urban Grill located just south of the town’s namesake landmark. Led by Executive Chef Gary DiDominick and parents Ernie and Pam, Dido’s prides itself on serving modern American food with a twist. For example, standard fare like chicken and waffles becomes a Big Bites named Fried Chicken & Mac Waffles. 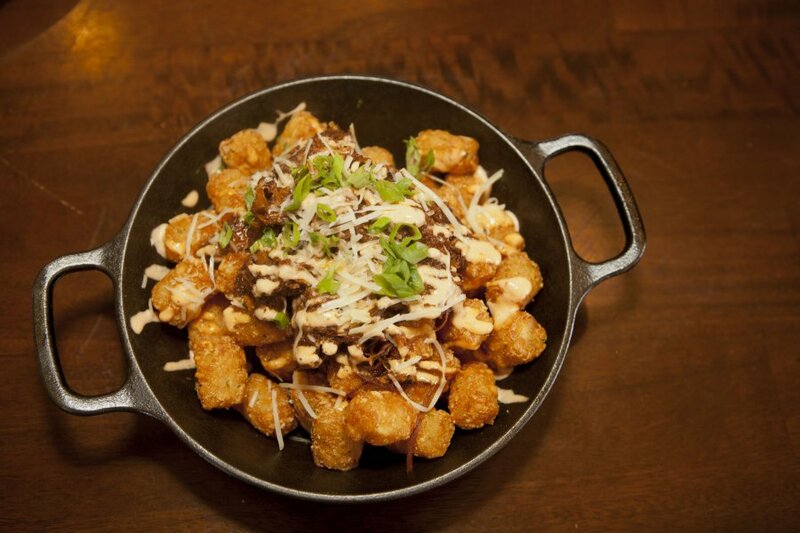 Ordinary tater tots are transformed into a Shareable called Texas Tots. It’s amazing how adding macaroni and cheese to one and braised pork, chipotle crema, queso anejo and green onions to the other make them unique, and something no other area restaurant can offer. “What goes through my brain but also my Sous Chef’s brain is how can we make something that’s on everyone else’s menu off the wall cool and gain the trust of our customers” said Gary, who worked in Bay Area establishments for nearly 15 years. Texas Tots with Ancho Braised Pork, Chipotle Crema, Queso Anejo. Ernie spent many years with Sky Chefs and was a long-time consultant to the food service industry before “retiring” to his Coppell home. Pam, who worked 22 years for American Airlines, then convinced their son Gary to open his first restaurant and the family was quickly on the job. Once customers do find Dido’s, they can immediately view the day’s features on the large chalkboard in front of them. Daily Specials include a scratch-made soup, flatbread “Sando” (short for sandwich), Chef’s Special, cheesecake and daily drink specials. “I call the chalkboard my playground to do what I want when I want,” Chef Gary said. “Many of our specials are created after brainstorming several new food ideas as well as the latest trends from the Bay area. Didos is fantastic! The chef specials are always great notbto mention bottomless mimosas during brunch. Make sure to say hi to Pam amd Ernie. Great family. Dido’s is one of our favorite places to eat in Flower Mound!! The food is outstanding, the service is fantastic and it’s always a treat to visit with Ernie, Pam and the sweet staff there! !